Relationship designators, also called relator terms, are words or short phrases that describe the relationships between entities associated with library collections. 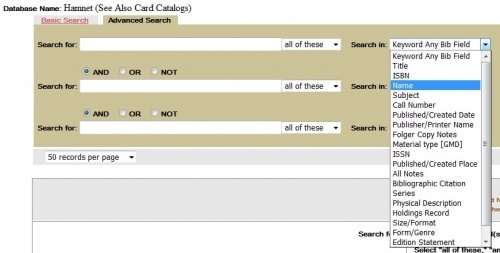 Many libraries routinely add relationship designators to access points in their catalogs. As their name suggests, they are used to specify the relationships between entities and items. Their current usage is closely tied to FRBR, or Functional Requirements for Bibliographic Records, a conceptual entity-relationship model developed by IFLA that was foundational to the development of the cataloging standard RDA. Using established terms to specify those relationships is an important component of current cataloging practices. Relationship designators are most frequently used to clarify the relationship between an entity and a work, expression, manifestation, or item - William Shakespeare is the author of Hamlet, August Wilhelm von Schlegel is a translator of Hamlet into German; the Trautz-Bauzonnet firm is the binder of a particular edition of Hamlet; Howard T. Goodwin is the former owner of a particular copy of that edition. Relationship designators can also be used to describe the relationship between multiple works/items (this edition is a translation of a previous text), or between entities (this person is the founder of this company). There is no dedicated search option for relationship designators in the current version of Hamnet. However, you can approximate one by selecting the "Name" search from the drop-down menus on the Advanced Search tab and entering the relationship designator you're interested in (such as "printer," "binder," "illustrator," etc.). The "Name" search indexes all the text in the 100, 110, 700, and 710 fields (among others), and is essentially just a keyword search of all name access points. Whenever feasible, add appropriate relationship designators to both name access points and name-title access points. Refer to the relevant sections below for specific guidance. If an appropriate term is not found in an established list (RBMS, RDA, MARC), consult with other Folger catalogers to decide on an alternative and record in the appropriate list below. RDA makes allowance for this in I.1 and J.1, but we do want to be internally consistent. Always use the relationship designators from the table below. These terms were selected from RBMS Controlled Vocabularies: Relationship Designators unless otherwise stated; the scope notes are taken from the RBMS list, or if not present there, from the MARC code list or RDA list. Use relationship designators not included in the table below as appropriate. Prefer the RBMS vocabulary first, then the RDA and MARC lists. Use "associated name" when a more appropriate or concise term cannot be determined (see formal scope note below). When adding multiple relationship designators to one name access point, add multiple subfield ‡e's alphabetically within WEMI order. Exception: create separate access points with ‡5 DFo when needed for item-specific relationship designators (e.g. a book where the Folger's copy has been inscribed by the author). 100 1 ‡a Shakespeare, William, ‡d 1564-1616, ‡e author. 700 1 ‡a Jenner, Thomas, ‡d -1673, ‡e bookseller, ‡e publisher. A satire; not in fact by Archbishop Laud. Attribution to Berkeley is spurious. Use designators found in RDA Appendix J. If none of these terms are adequate to describe a relationship between two works (or a work and an item, etc. ), consult with other Folger catalogers to determine an appropriate local term. For depictions of known individuals: use the authorized form of the name, followed by ǂe depicted. 600 10 Shakespeare, William, ǂd 1564-1616, ǂe depicted.